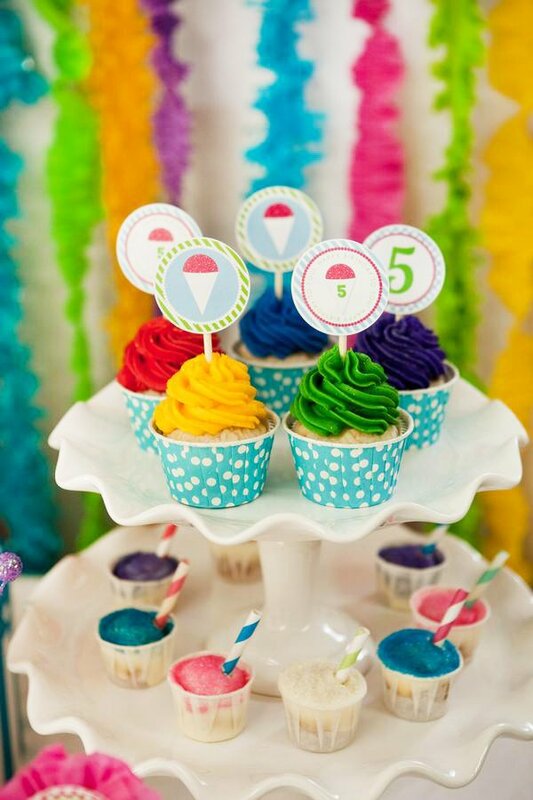 The mix of soft pastels & bright rainbow colors in this summery Snow Cone Themed Party is straight up COOL! 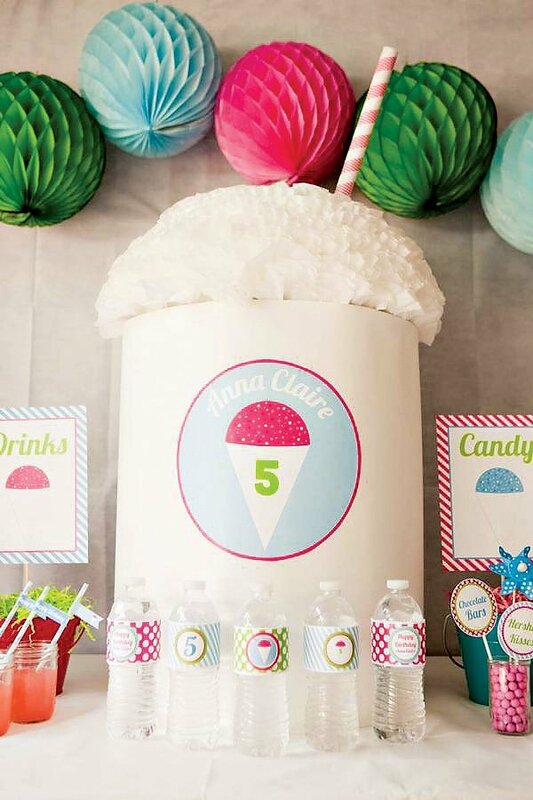 ;) Lauren Haddox Designs keeps her pint-sized party guests chillin’ with made to order snow cones, polka dot party print and snow cone crafts… and I am absolutely melting over that jumbo snow cone centerpiece made from coffee filters, so creative! 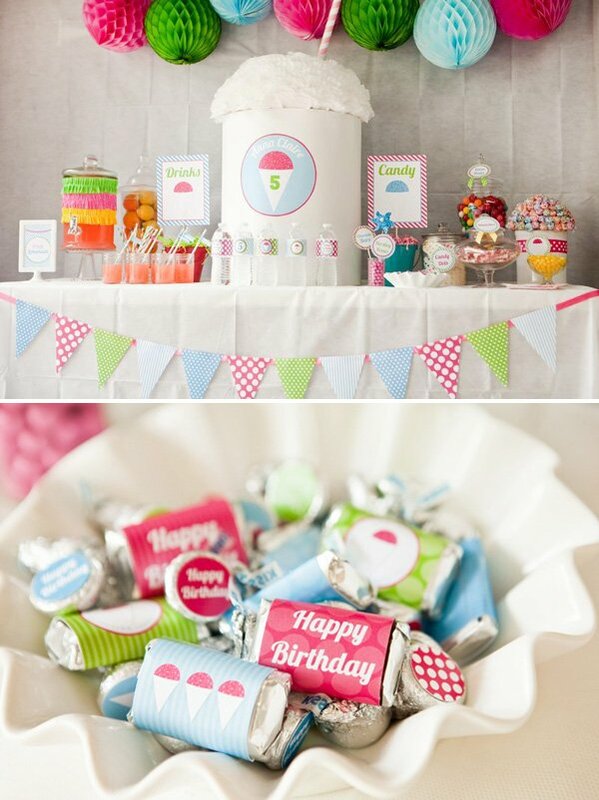 Super cute pictures of the kids by Katy Marshall Photography! I scream, you scream, we all scream for SNOW CONES! 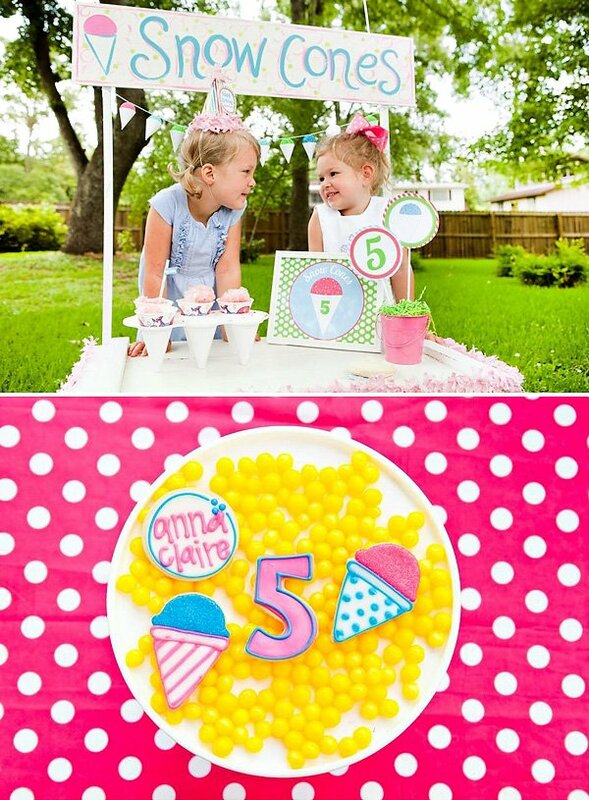 A good friend recently asked me to design her 5 year old’s birthday party. 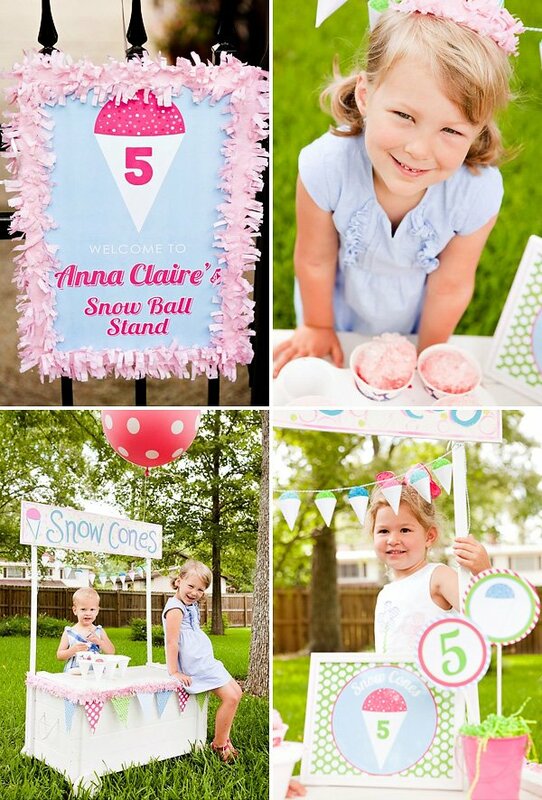 Summer birthdays in Louisiana can be extremely hot… so we decided to cool things off with a Snow Cone themed party! 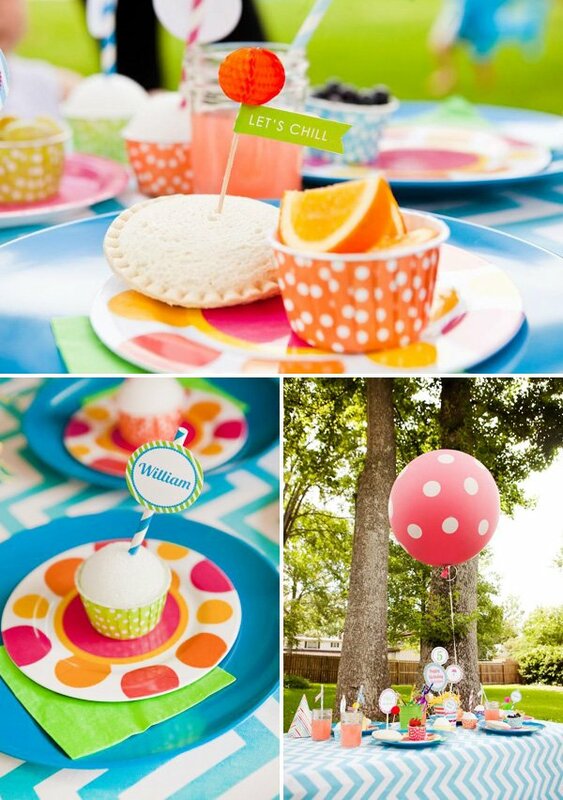 Big pink balloons, a snow cone stand, and a ruffled rainbow cake made this one COOL summer party! 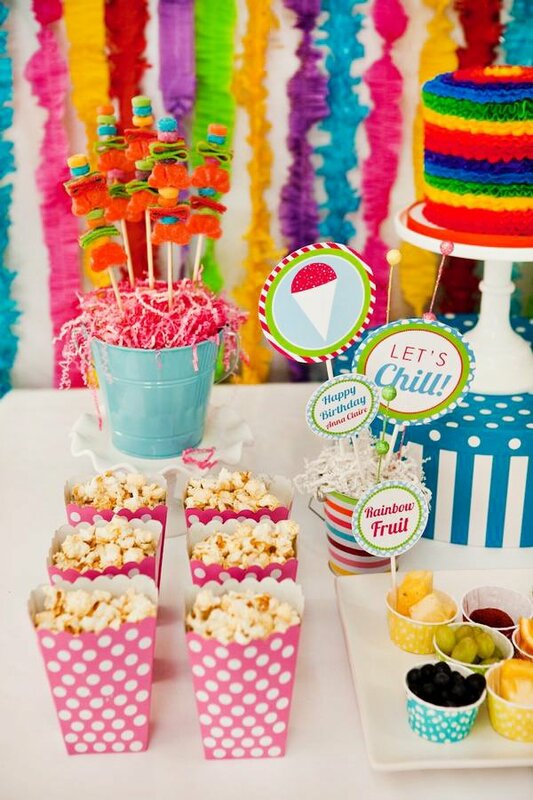 The two main serving tables were decorated with bright colors and plenty of goodies for everyone to enjoy. 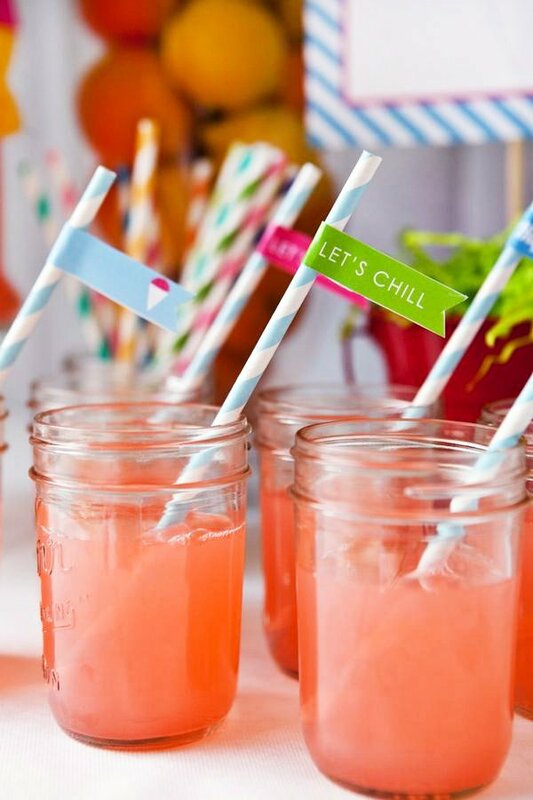 For the drink table, I made a large snow cone out of poster board and coffee filters topped off with a striped straw coming out the top. 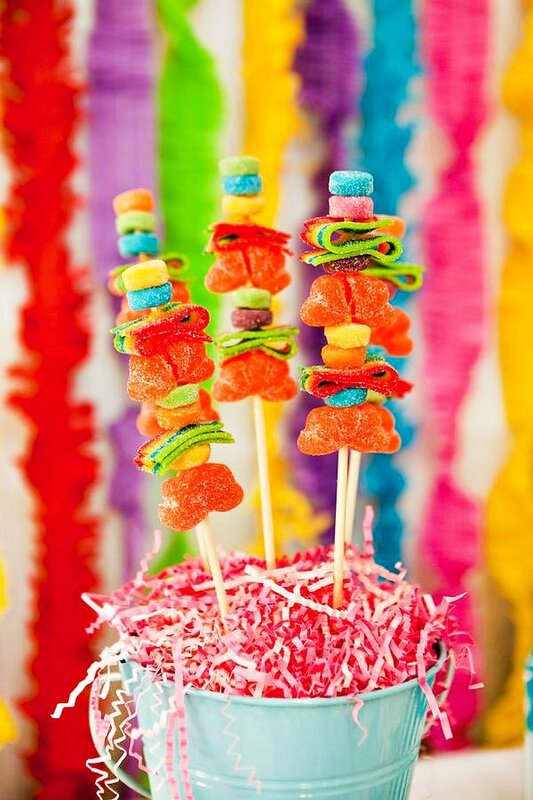 I included a “dum-dum snow cone” in the candy buffet to carry out the theme. 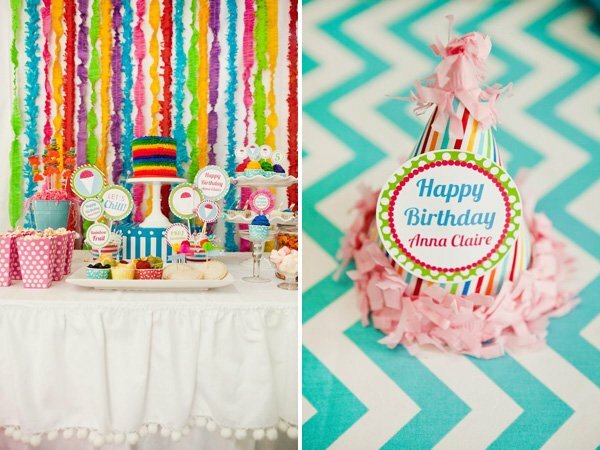 The other serving table was backed with tissue garland and sewed crepe paper. 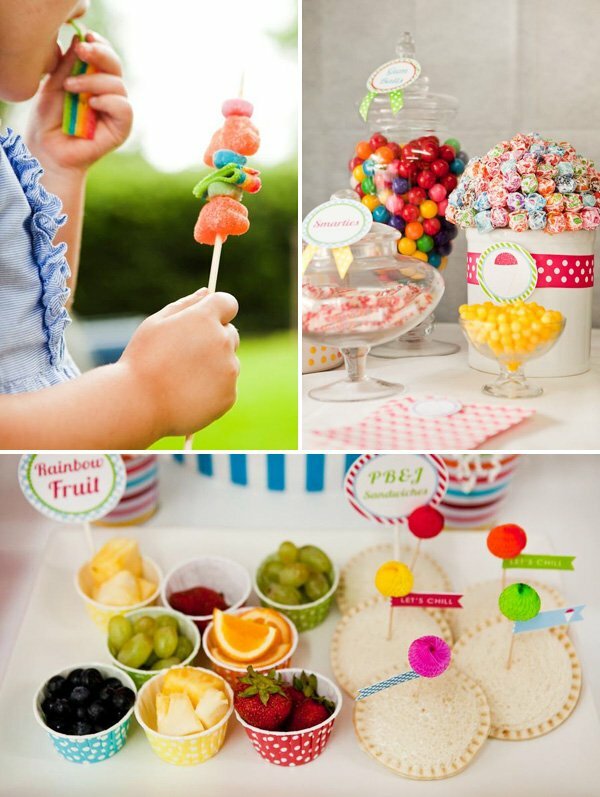 Peanut butter and jelly, rainbow fruit, goldfish and caramel popcorn were served for lunch. 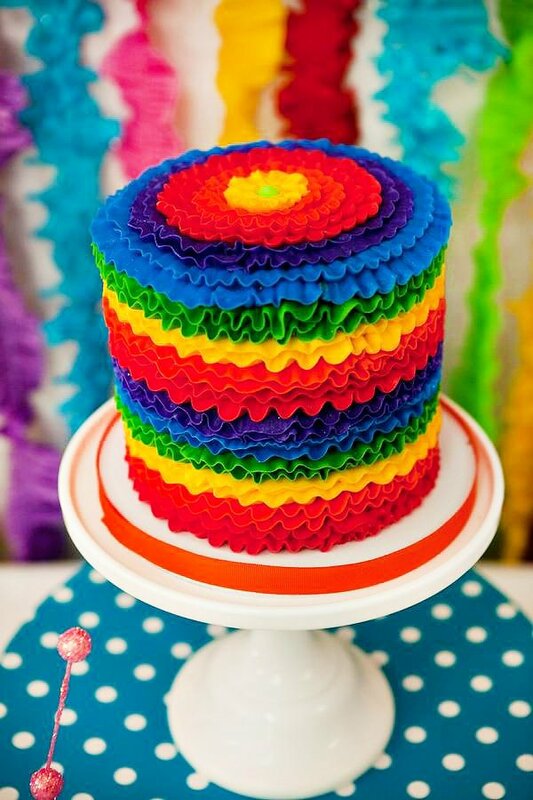 A gorgeous rainbow ruffled cake by Sweet Elizabeth, cupcakes, cookies by Silly Gilly and candy skewers were the sweets for the day. The birthday girl helped hand out snow cones at her mini snow cone stand. 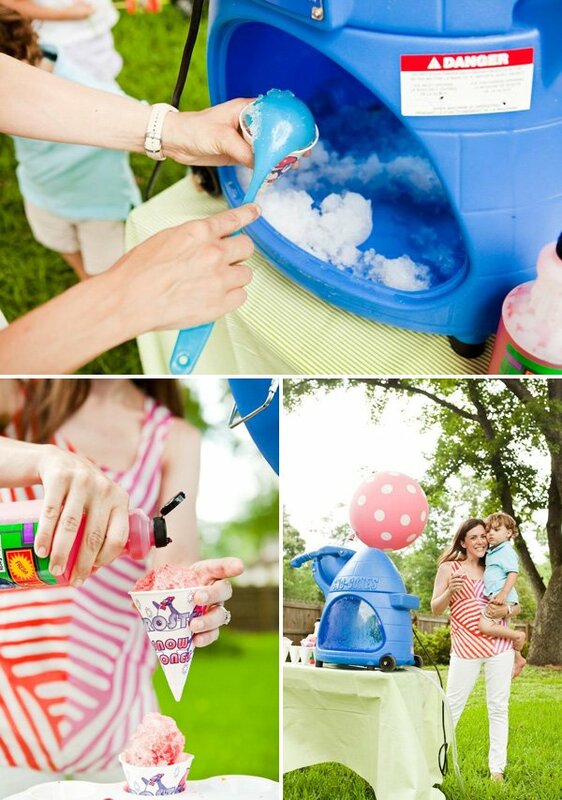 Having the snow cone machine was a HUGE hit… the kids loved it! 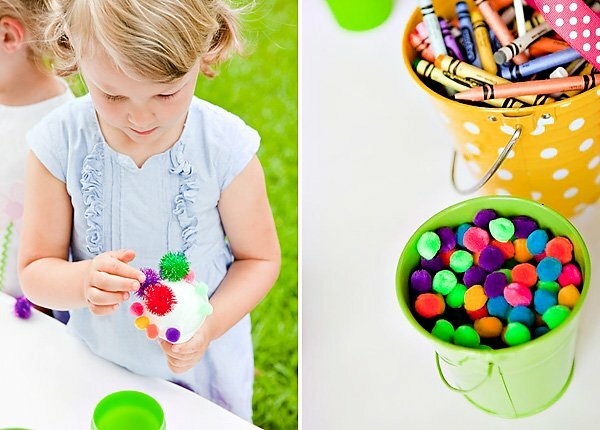 We also had a craft table set up for the kids to make their own snow cone out of pom poms and styrofoam balls. It was a beautiful hot day and a wonderful time was had by all!! :) Huge thanks to Katy Marshall Photography for the beautiful pictures. 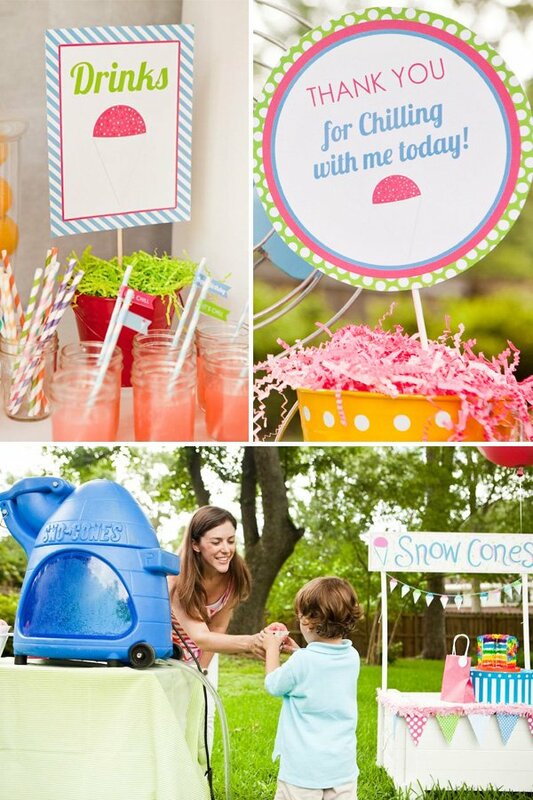 Snow cone machine provided by Bouncing Off the Walls.